Just a quick one to show you guys this amazing embroidered denim jacket i picked up from Blue Vanilla. I know denim jackets are the hype at the moment and i'm not gonna lie - i do have a few sitting in my wardrobe. But this one caught my eye because it was different to anything else i'd seen. 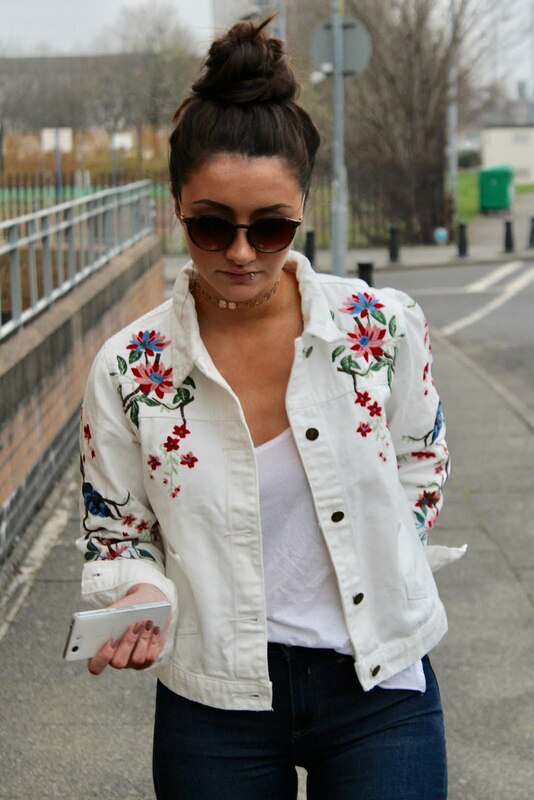 We've been seeing loads of the rose embroidered blue denim jackets all over the high street but i loved the bird and floral print on this lighter denim jacket - it really does stand out and i think it's a great purchase for the summer! As the weather has been a bit up and down recently, i paired the jacket with a pair of blue skinnies and a basic vest, but this will also look great layered over little summer dresses on holiday! Thanks for reading, have you started your holiday shopping yet? Good collection of Summer fashion. Thanks for sharing.